NSW: What Happens When The Common Areas Are Not So Common? You are here: Home / Maintenance & Common Property / Common Property NSW / NSW: Q&A What Happens When The Common Areas Are Not So Common? NSW: Q&A What Happens When The Common Areas Are Not So Common? A lot owner from NSW is wondering what to do when the common areas at their established building just aren’t so common. Rod Smith, The Strata Collective provides the following response. Question: One particular lot owner has ‘moved into’ a section of the common areas and uses this space as their own. Do we have a right to ask the owner to either remove their items or make them available to all residents? We have a common property garden that wraps entirely around one particular unit. This area is the only outdoor common area that can be used for recreation in our medium sized strata complex. A large terrace area has been paved on the common property leading up to the entrance to this unit (I’m not sure who did this) and the owners have fully furnished the paved area with their own outdoor furniture. On the opposite side of the garden, they have installed a bbq and a bench seat so that when we go down to the garden we feel as though we are trespassing in their personal space. We had assumed the bbq was part of the common areas, but when we tried to use the bbq, the owners came out and told us that it belongs to them and we could not use it. We would like to be able to use the garden and outdoor terrace and have a bbq and seating in common areas that are available to everyone in the strata. Do we have a right to ask the owners to either remove their seating and bbq or make it available to all residents? Answer: The legal answer to this question is simple however the political answer is a minefield. The legal answer to this question is simple however the political answer is a minefield. Legally speaking, common property is for the use of all owners. If an owner wishes to be conferred the ‘exclusive use’ of an area of common property, this right should be granted by way of passing a well drafted by-law containing a proper plan of their proposal. For a bylaw to be registered, an owners corporation is required to pass a motion at a general meeting by way of a special resolution. Usually in such a situation, owners corporations would request that the applicant financially contributes for the rights to the subject area by paying the market value for the area of land. The appropriate payment amount for an exclusive use area of land is normally determined by way of a qualified valuer providing a valuation of the subject area. I am guessing that the above steps haven’t been taken, which puts the current situation into an awkward grey area. My guess is that the current arrangement is an informal one between long standing owners. You will be able to determine if the arrangement is informal by requesting a copy of the by-laws for your strata to see if a by-law dealing with this item has been registered. As an independent strata manager, I normally don’t allow owners to keep personal effects on common property. This includes a variety of items including pot plants, floor mats, artworks and barbecues. The reason I have this policy is to ensure that my buildings don’t end up in a situation like the one you describe. Politically, for you to take ‘matters into your own hands’ and ask the owners to remove their items off common property might be a political disaster. I would suggest you take careful steps to resolve this issue. That being said, I do think what is currently occurring is unfair and needs to be addressed. If you approach the matter with kindness and respect, you should (hopefully) achieve a reasonable outcome. Perhaps the first step might be to talk to your strata manager about the situation and ask what they think you should do. Strata Managers are often a wealth of information that can help with tricky political matters that require an impartial course of action. Good luck! I hope this works out well for you. This post appears in Strata News #172. NSW: Q&A What Can I Do About the Bamboo Next Door? This article is for reference purposes only and is not intended to be a comprehensive review of the developments in the law and practice or to cover all aspect of the subject matter. It does not constitute legal or other advice and should not be relied upon this way. Readers should take legal or other advice before applying the information containing in this publication. 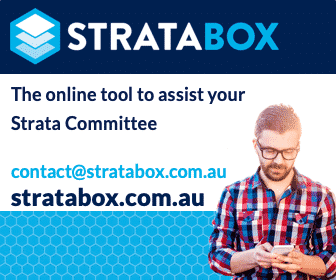 Visit our Maintenance and Common Property OR NSW Strata Legislation. Have a question or something to add to the article? Leave a comment below.